The Aston Martin DB11 Volante is a convertible that leaves you both shaken and stirred. 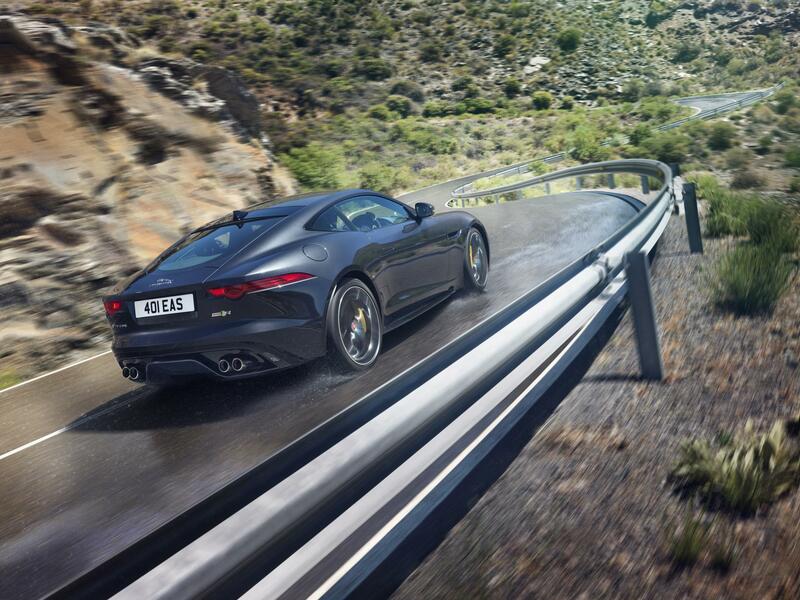 It owns the road like no other and offers 007 kudos wherever you drive it. Bond usually crashes his cars but this DB11 is so beautiful I just wanted to wrap it up in cotton wool. Top up, or top down, it looks gorgeous from every angle. The latest Aston sports car may be large but underneath that eight-layer fabric roof is a tiny cabin. A pint-sized Mini convertible actually offers more space. This successor to the DB9 uses dashboard equipment borrowed from Mercedes, although it’s well camouflaged behind the leather and lightweight composites that line the cockpit. Designers have kept a traditional feel but this is still the most futuristic Aston Martin ever built. Raising the roof to beat a rain shower takes 15 seconds, driving at speeds of up to 30mph. It’s quite a performance to watch and unusually for a convertible, the DB11 still looks good roof up. 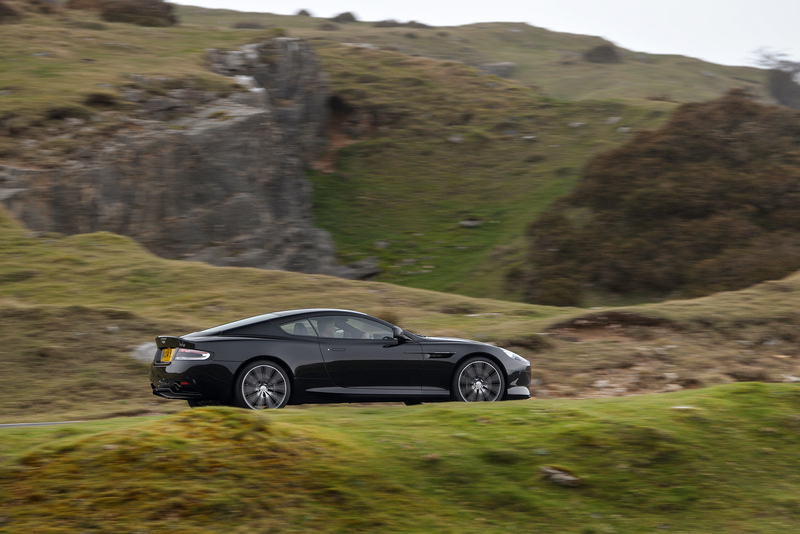 A summer’s drive across country becomes an occasion in the DB11. Enthusiasts will tell you this latest version is the best driver’s car to date – and how right they are. Steering an older Aston wasn’t for the weak limbed. Just operating the clutch required the calf muscles of a rugby player. Now even the suspension has a range of settings to suit the road surface. GT is the softest, perfect for high speed cruising. Sport+ unleashes the DB11’s wild side and transforms the car into something of a beast. A massive 503bhp requires nerve – you have been warned. Under that sleek bonnet is a turbocharged engine that emits a constant burble. If you need extra power there is a faster V12 version too. However, in the upper echelons of the performance car market, this V8 will be more than enough for most people. It is a fun and rewarding car to drive across country. Unlike the coupe version, the Volante has the added bonus of a folding hood too. There’s an excellent sound system onboard but the music from the huge exhaust pipes was more than enough for me. There are few vehicles that will give you same experience as the DB11. The new Bentley Continental GT is one, or you might consider a Ferrari 488 Spider But if you want to feel like James Bond on your days off, this is the car. You just know that when Aston Martin turn out an amazing car that not quite everything will be perfect. There has to be a flaw right? A brilliant machine that has more heart and soul than a Porsche but just isn’t quite as Germanically over-engineered. So it is with the astoundingly good Vantage V12 S. Beautiful from every angle, the toned down but throaty exhuast note the poise and balance when at full tilt around a sweeping corner. Then we come to the manual gearbox. For some reason, it’s back to front. That means 1st is bottom left, with a dog leg up to 2nd. Sure, you’d think it wouldn’t be that hard to get used to but it’s a bloody nightmare. And then there’s changing down from 4th to 3rd – how many times did I almost whack it into 1st with potentially disastrous consequences? It doesn’t work Aston Martin – why the rubbery ginger did you do it in the first place? And then there are the electric window buttons. They are the wrong way up too. Press down for up, and up for down. Is there something I’m missing here? Long before it appeared in the distance, I could hear the S arriving. It’s not a squealer like the Huracan – it doesn’t sound like a couple in flagrante. Instead, the Aston has a sophisticated growl – like Mariella Frostrup after one too many fags. Most shocking is the paint job. I’ve seen the S manual with grey paint and yellow lipstick around the grille, or white gloss and orange frill. Get your head around that though and the rest should be easy. Oh, apart from the dog-leg seven-speed gearbox. It’s the reason this Vantage is so special – but also remains the most annoying feature. First gear is in a funny position but it’s also way to easy to slip from second to fifth, instead of third. Ho-hum. Another flawed Aston – or will I get used to it like every other motoring hack claims is possible? Wednesday and it’s another rain-lashed morning in Blighty – not the best of weather to hurl a 500bhp, rear-wheel drive supercar around a corner. Having discovered the DB9 is somewhat ‘tail happy’ I’ve compiled a list of other minor irritants that they don’t tell you about in the sale brochure. Firstly, if you are a lady (or a bloke!) with long nails, inserting the glass key into the dashboard can chip at least two of them in one go. Actually, just getting in to the Aston at night can be awkward because unless you blip the key (for illumination) the flush handles are completely hidden in the door. This results in a lot of embarrassing fumbling around to find them – which makes your hands filthy too. Never saw Bond do that did you! I’m 5ft 10ins and I can’t stretch my legs out in the front passenger seat. Normally this can be rectified by reclining the back upright but in the DB9, it hits the rear seat almost instantly. So if you are 6ft plus, I’d want to be sure I could get comfortably before opening my wallet. FInally, the boot is tiny. The rear seats are pointless too – unless you have a small dog or baby. 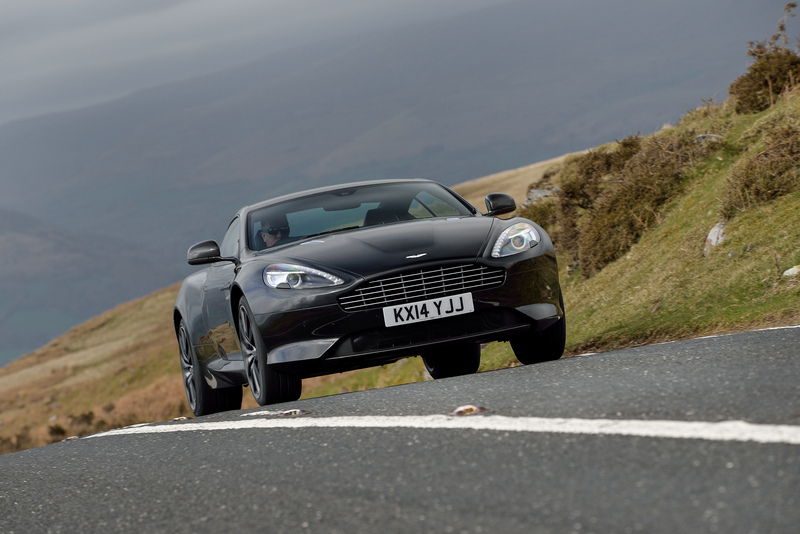 Aston Martin DB9 Carbon – Is It Worth The Sum Of Its Extra Parts? Any colour you like, as long as it’s black, or possibly white… The Carbon Edition was launched at Geneva Motor Show earlier this year. There are no upgrades to the V12 engine and looking at it parked on the driveway now, I’m hard pushed to spot the cosmetic changes too. 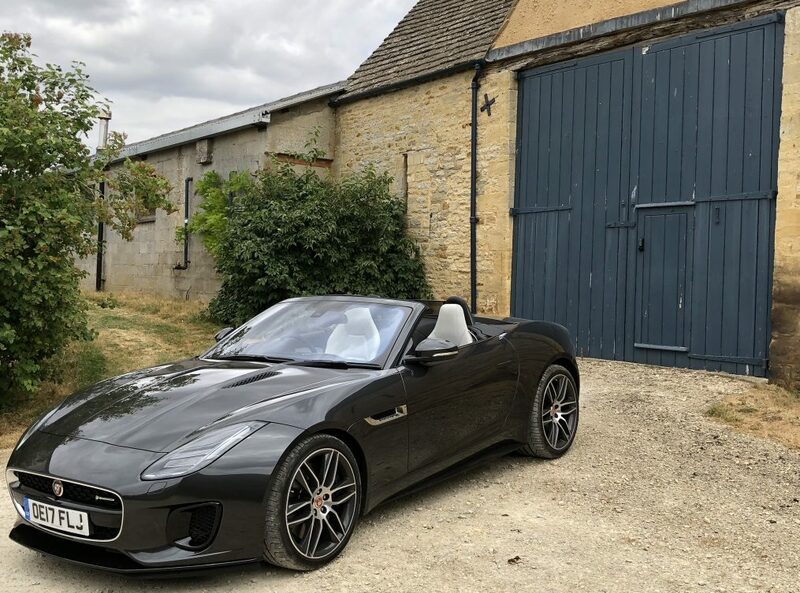 The extra £6k on the price of a standard DB9 buys you a special edition with some carbon fibre side strakes and black window surrounds, plus a ‘Carbon’ logo on the sill covers as you step in. The interior is suitably black and that’s about it! I’m wondering if that’s why it took a lot of Googling to find out exactly how much of a premium the Carbon edition demands? The official Aston site says ‘price on application’ and in the end I had to inquire at the press office. ‘Style and visual drama are the special edition’s hallmarks as they perfectly emphasis the timeless GT’s sporting nature’ says the PR fluff.